Chances are, at some point, you’ve read a celebrity’s diet tips or food diary and wondered whether you’d look and feel as good if you began your days with a green smoothie, ate a kale salad for lunch, filled your dinner plate with grilled fish and steamed veggies, and topped it all off with a small piece of dark chocolate. Sounds like a good path to health and weight loss, right? Countless patients come to me with their personal weight loss struggles and of trying so many celebrity diets and weight loss tips. And with all of them, the common thread is that while their intentions were good in the beginning these extreme weight loss tactics, meal plans, exercise regimes etc. didn’t work in the long run. They got frustrated with the restrictive nature of these plans or were injured during workouts that didn’t make sense for their bodies or couldn’t afford or tolerate the specific foods outlined in the diets. Why can’t I lose weight, they ask me. Because I’ve TRIED and TRIED so many times and the weight just comes back. Why do I continue to fail? The answer is simple: these diets, as enticing as they may seem, are simply not sustainable. In short, they set you up for failure before you even begin. Additionally, they are usually geared toward someone with infinite resources which allows them to take the guesswork and legwork out of shopping, cooking, meal prepping and exercising. Case in point, would I love to shop for groceries at my local market and make my own dinners every night? Say, some nice wild caught salmon or grass fed steak grilled with butter, a yummy carb and roasted veggies to round out the plate. Of course! What do I usually eat after getting home from the office at 7:30? Takeout sushi (you can bet there’s some tempura in there) or a hoagie (or two) from Wawa followed by as many jelly beans as I can eat without my kids seeing me (not because I’m ashamed of eating candy out in the open, but because they’ll ask for some and I don’t want to share). The difference here is that even though my nutritional choices may not be “healthy” (salty, fried, processed, contain corn syrup) or what people typically think they need to eat for weight loss, I make these foods as with everything I eat, fit into an overall plan that is based on my body and my lifestyle. So I ask, instead of trying to take diet tips from Kim or Kourtney, why not follow a plan that accommodates YOUR existing lifestyle and behaviors? 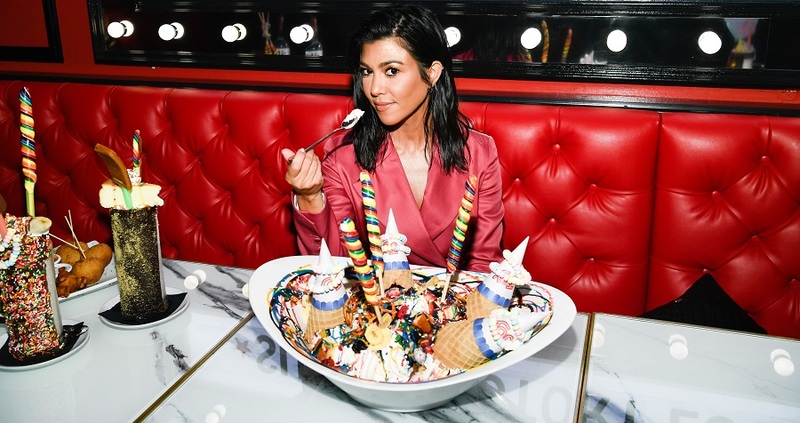 Whether your goal is to lose weight or to improve your diet, please read my article in Cosmopolitan Here’s Why Your Favorite Celeb’s Diet Might Not Work for You before you swap out your white toast with butter and jam for a breakfast chia seed smoothie. As always, please reach out to me or my staff if you would like to talk. We are here to help.